When amiibo was announced, Wii U owners rejoiced that they would be able to use the system’s NFC (Near Field Communication) feature for something other than Pokémon Rumble U. Now we are only weeks away from the release of the first set of amiibo figures. We also already know about the limited time figures as well as the second round release. Well, apparently Nintendo has even more in store for amiibo with additional products. “Animal Crossing”. There was no word on what these smaller figures would be used for or how they would differ from the standard ones releasing this year. 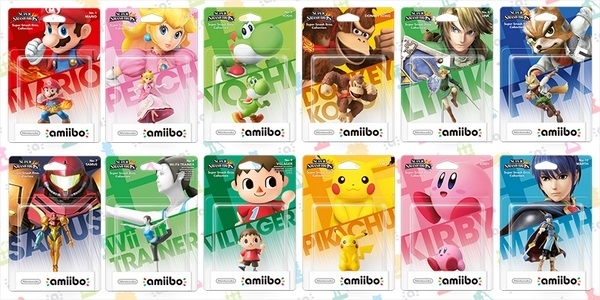 While the smaller figures may be used for games like Animal Crossing and Fire Emblem, cards would be a cheap and exciting way to incorporate games with a massive amount of continuous characters like the Pokémon series into the “amiibo” world. While this is all just talk, it’s likely that we can expect more updates on these possibilities through Nintendo Directs leading up to E3 2015. Super Smash Bros. Wii U, but I’m interested to see how it is going to be incorporated in other games going forward like Mario Kart 8 and Hyrule Warriors. I’m also interested in knowing how amiibo will be incorporated into main franchise titles like Zelda U. How would you like to see Nintendo incorporate amiibo into more games? What games do you want to see work with amiibo? Let us know in the comments below.